Buy Tickets for Reserved Seating below on the ticket link for each artist. Will Kruger, 7 p.m. The opening show is a John Denver tribute and awareness event for several Door County environmental groups. His show has been described as follows: "A show born in the heart of a true artist. Both his tribute work as well as his original songs bring an energy and a state of mind that refreshes and renews!" 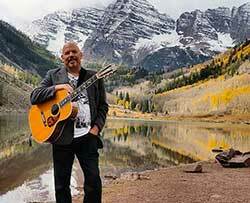 Michael P. Smith, 7 p.m. Michael has been singing, writing and touring in North America for over five decades. His songs have been recorded by artists the world over. His song The Dutchman is considered a classic in the folk lexicon. This is a show that you won't want to miss. 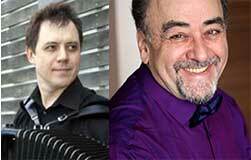 Stas Venglevski and Misha Litvin, 7 p.m. Stas is a native of Moldova and earned his Masters in music at the Russian Academy of Music in Moscow. Misha is a native of Minsk Belarus. 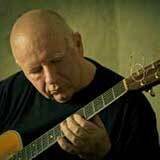 He has performed with and directed multiple music venues in Europe. Both musicians have been recognized as major virtuoso's in their field. They are unforgettable and amazing performers. This concert will have you dancing in the aisles. Caravan Gypsy Swing Ensemble, 7 p.m. Returning this year to Fishstock, Caravan is a world traveling instrumental acoustic group based in Madison WI. They are primarily influenced by legendary Roma gypsy guitar artist Django Reinhardt. This concert will be a memorable one. They are amazing instrumentalists. 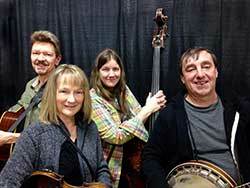 Handpicked Bluegrass, 7 p.m. If you like lively and upbeat music to make you smile and want to move, this group is for you. They have been performing for many years and have been the featured group at several national bluegrass festivals all over the US. John Ford-Coley, 7 p.m. There are songs you hear in life that transport you to a certain time period or give you a special feeling. You associate those times to the group that made them famous. Songs like "I'd Really Love to See You Tonight". "Nights are Forever without You" and "Love Is the Answer" have that kind of effect on people. These are just a few of the hits that John has done. You will leave this performance with a smile and a good feeling in your heart. 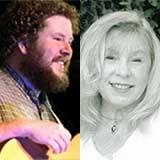 Joe Jencks and Carolyn Carter, 7 p.m. Joe Jencks is an 18 year veteran of the international Folk circuit, an award-winning songwriter, and celebrated vocalist. Merging conservatory training with his Irish roots and working class upbringing, Joe delivers engaged musical narratives filled with heart, soul, groove and grit. As Pete Seeger said "The key to the future is people joining in. The music of Joe Jencks captures this essential spirit. Joe is a fantastic singer who carries on the traditions." Caroline Carter is a singer/songwriter born and raised in the mountains of Arkansas. She is very involved in her community and chose to stay at home and raise her three children and help the community instead of touring the country. She has the voice of an angel who sings of her people and their lives. 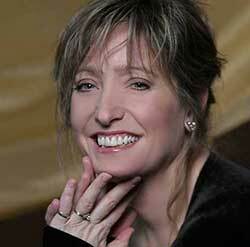 Janet Planet, 7 p.m. "When it comes to understanding a lyric and the music behind it, Janet Planet 'gets it'. Her soulful, heartfelt readings, with a perfectly in tune, pure voice "from heaven" brings Dylan to us on a silver platter, and really hits home" (Gene Baroncini – Jazz Guitarist). Don't miss this show!! 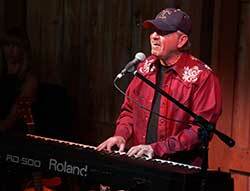 Jimmy Davis, 7 p.m. Jimmy returns to Fishstock with energy to spare. Jimmy's career has spanned four decades of performances, writing, acting, singing and camping. He has recorded with many "top" artists and is a wonder to watch and listen to. 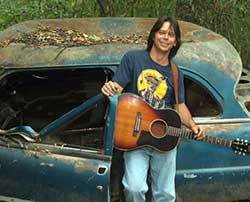 He is an excellent story teller and incorporates that into the music he writes. If you don't know Jimmy – you need to! 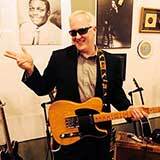 Eric Lewis & Friends, 7 p.m. Eric Lewis is back to celebrate our final concert of the year. He always brings an extremely talented group of musicians to keep everyone excited about the performance. This year will be no exception. Eric is from Memphis and has been nominated consecutive years for the Premier String Player award. He has performed with many noteworthy artists. Please join us to celebrate both Labor Day and Eric Lewis. It will be a memorable event.